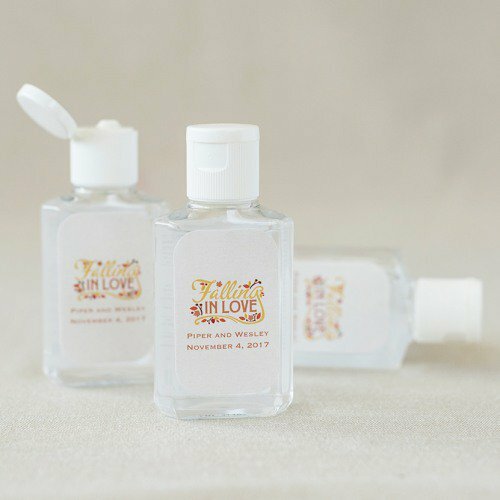 As we get closer to the holiday season – where making lists is essential – I found a great wedding favor that is super useful and fun! 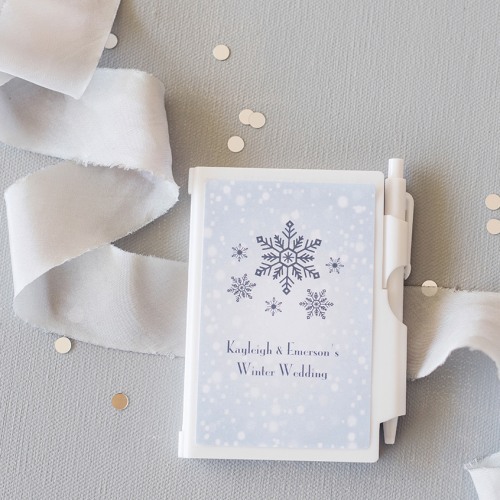 Your guests will love these personalized notebooks, especially if they’re tucked into a cute welcome bag for out-of-town guests. Maybe you’re a fan of a good wine. 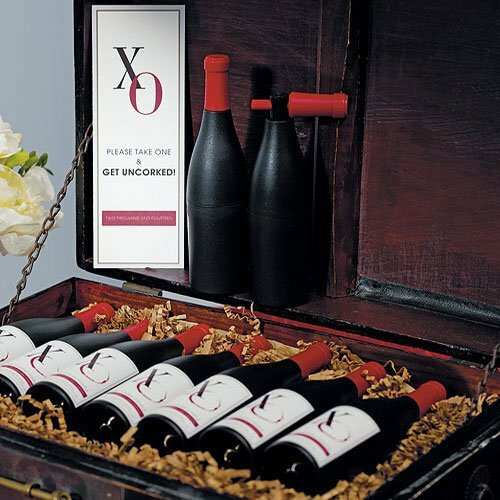 And maybe your wedding reception has a wine theme or you’re hosting it at a winery? 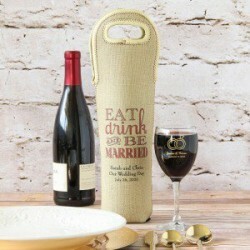 If any of those are true, these personalized wine totes would be really fun wedding favors for your guests to take home. Preferably with a bottle of wine inside! 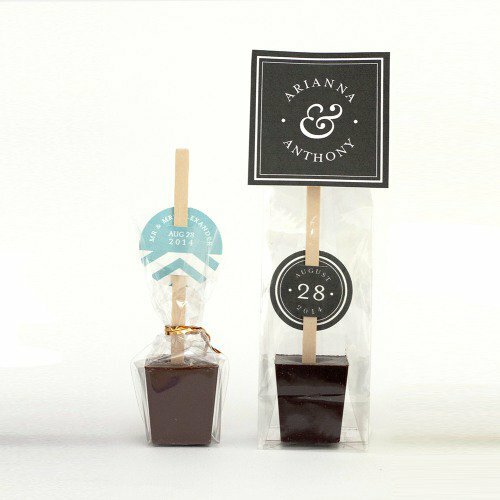 Since tomorrow is Halloween and I have sweets on my mind, it seemed like a good time to showcase one of my favorite ideas for wedding favors. 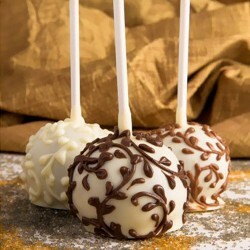 I give you the brownie pop. With just over a week left in October it’s time to start thinking about your late fall or early winter (gasp!) wedding reception. Yes, it’s true – as much as we want to hold on to the warmer weather winter really is coming and it’s best to be prepared to plan a great reception! 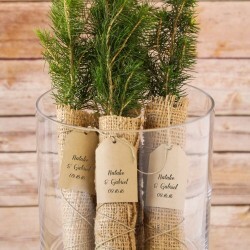 I’m loving today’s fun wedding favor – personalized evergreen tree seedlings. These seem like a perfect wedding favor for this time of year – especially as we inch closer to the winter holidays. 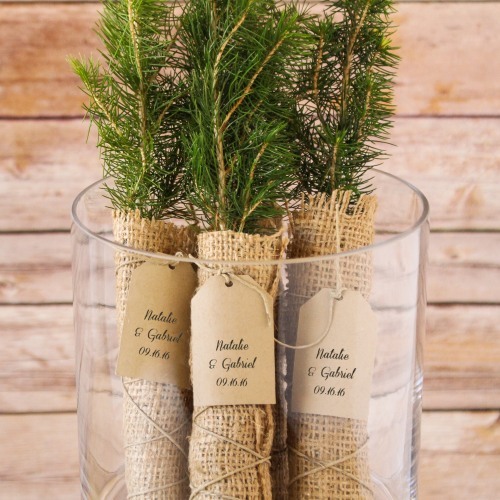 Whether you’re a tree person or if you’re just having a rustic fall wedding, these seedlings are a great fun favor. Each seedling is individually wrapped in a burlap bag and finished with a complimentary personalized tag. You can find this favor here. It’s that time of year again – when the air has a chill to it and a hot mug of hot chocolate is a must-have! And I found the coolest new wedding favor that is absolutely a must-have for your fall or winter wedding – hot chocolate sticks. 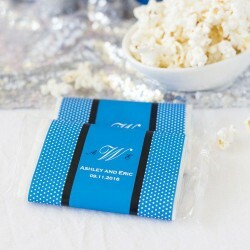 I love wedding favors that are not only fun, but also functional. And if you’re a wine drinker it’s always nice to have a working corkscrew in the kitchen! I love chocolate. Especially chocolate candy. And if I can eat a lot of chocolate candy without feeling guilty, that is even better. 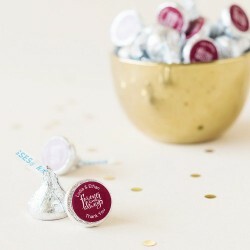 Which brings me to today’s fun favor – personalized Hershey’s Kisses! It’s always a good idea to have some sort of “lucky charm” on your wedding day. And if you have the something old, new, borrowed, and blue why not add lucky elephant to the mix? 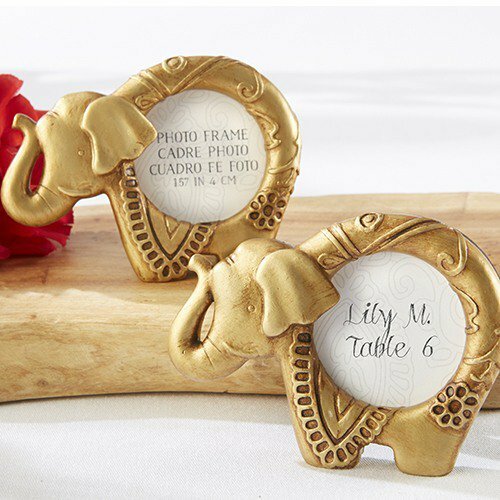 I’m loving these “lucky golden elephant” photo frames!